The Descendents are an American punk rock band from Hermosa Beach, California. As of 2010, they have released six studio albums, three live albums, three compilation albums and three EPs. 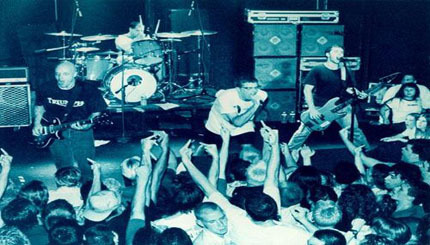 The Descendents broke up and reformed several times over the years, sometimes with different musicians. The band's current lineup is singer Milo Aukerman, guitarist Stephen Egerton, bassist Karl Alvarez and drummer Bill Stevenson.